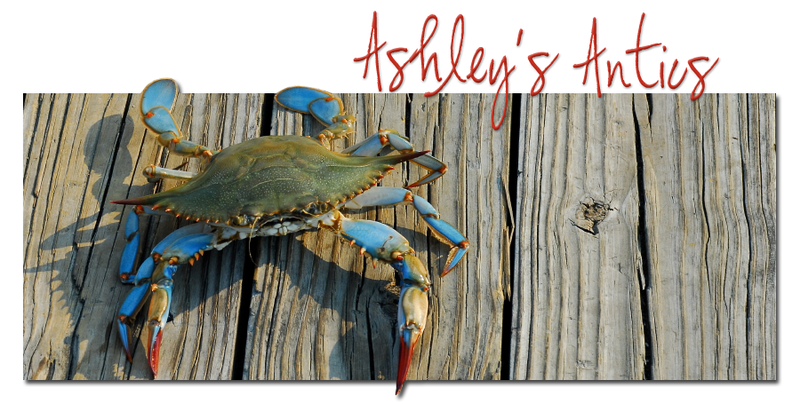 Ashley's Antics: Blogger Pressure is hard to resist. It's Vera Bradley, obviously. Do I need another purse? Heck no. Did I get another purse? Yes. I swear, I feel the peer pressure via computer waves, just reading my favorite blogs. I'm over feeling bad about a purchase that I don't necessarily need. 1. It was really cheap for Vera Bradley. 3. I've mentioned this before, but I'm all about red, white and blue. 4. Although I have a lot of purses, they are 99% Coach and all have at least some leather and/or suede on them. 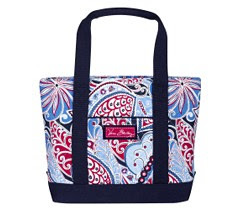 This tote will be perfect for summer. 5. Yes, I feel the need to rationalize purchases. I'm trying to get out of debt. 6. Once boyfriend moves in, it will free up at least at few hundred dollars a month. I'm going to feel like a millionaire. 7. Oops, did I forget to mention that I may have picked up a large duffel as well? Oh, well that was on sale. 40% off. Ha ha! I was so tempted by that! The tote is adorable. haha I know.. temptation got me.